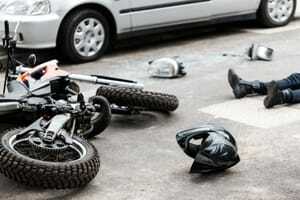 Turn to this Miami Motorcycle Accident Lawyer if you’ve been injured in a crash anyplace in Florida. Because motorcycles are not enclosed vehicles, motorcycle crashes can be particularly dangerous. Motorcyclists can easily be thrown off of their vehicles, and catastrophic injuries and even death can result. This is particularly true if the motorcyclist wasn’t wearing a helmet at the time of the wreck. Motorcycle collisions are caused by all sorts of things. One of the leading causes of such accidents is the actions of other drivers on the roadway. In fact, other vehicles on the roadway tend to cause motorcycle crashes more often than the actual motorcyclists. If this has occurred to you, then you may be able to pursue a personal injury case. On the other hand, if you were hit by a motorcycle on the roadway, then you may be able to pursue a personal injury case against the motorcyclist or the owner of the motorcycle. If you’ve been hurt in a motorcycle accident anywhere in Florida (including in Broward County, Fort Lauderdale, West Palm Beach and Palm Beach County), contact Mr. Quackenbush at 954-448-7288. This Miami Motorcycle Accident Law Firm will be able to get you the compensation you deserve. If you call Mr. Quackenbush, he will give you a free consultation of your case. Many motorcyclists do not wear helmets. Unfortunately, this can cause additional injuries to the motorcyclist. These may include head injuries, cracked skulls, brain injuries, brain damage, and brain bleeds. If this occurred to you because you weren’t wearing a helmet, then the defense may argue that your injuries would not have occurred had you been wearing a helmet. If this occurs, then Mr. Quackenbush may hire a helmet expert. This helmet expert will analyze the accident, your injuries and determine if a helmet would have made any difference (i.e., if it would have prevented your injuries). In many cases, a helmet would have been no difference at all. If the helmet expert doesn’t believe a helmet would have made a difference, then the defense may have no argument. This issue will likely be sorted out in Court. There, the Jury will be asked to divide up percentages of fault (between you and the defense). For instance, the Jury could decide that the other vehicle driver was fifty percent at fault for your injuries by causing the accident, and you fifty percent for not wearing a helmet. Or the Jury could divide up the percentages 90/10, etc. Whatever percentage is assigned to you by the Jury will serve to lower the amount of compensation you receive. For example, if the Jury awards you $100,000 but believes you are fifty percent responsible for your own injuries, then you will only receive $50,000. Moreover, sometimes there was a defect in the helmet that you were wearing that contributed to your injuries. That is, if you were wearing a helmet at the time of your crash, the helmet may have flown off during the wreck or may have cracked or failed to protect your head/brain. If this is the case, then again Mr. Quackenbush will hire a helmet expert to analyze/evaluate the helmet. If the helmet expert feels that the helmet was defective and that this allowed your injuries to occur, then you may be able to pursue a products liability case against the manufacturer, distributor or retailer of the helmet. If you are involved in a car accident in the State of Florida and you have automobile insurance, you will be entitled to $10,000 in PIP (personal injury protection) benefits for your medical bills and lost wages. This is true whether or not you were at fault for the action (i.e., PIP is “no-fault”). However, this is not true for motorcycles. Therefore, if you were involved in a motorcycle accident, it is even more important that you get compensated for your injuries and medical bills. Death also unfortunately happens frequently as a result of motorcycle wrecks. If your loved one has passed away as a result of a motorcycle collision, you may be able to pursue a wrongful death case on your loved one’s behalf. If you do so, an estate will have to be setup on your loved one’s behalf. You or another loved one will be appointed as the “personal representative of the estate (“PR”). The PR will act as the plaintiff (i.e., the person pursuing the lawsuit). Your loved one’s survivors (the “beneficiaries of the estate”) will receive compensation from the case. However, there are restrictions and limitations on who can be beneficiaries of the estate, so it is best to contact Mr. Quackenbush as soon as possible to figure this out. The statute of limitations for a motorcycle collision case in the State of Florida is four years, meaning you have four years from the date of the accident to file a lawsuit – so contact Mr. Quackenbush as soon as possible. If the motorcycle accident involved a death, then the statute of limitations will only be two-years. Contact Mr. Quackenbush at 954-448-7288 if you’ve been injured in a motorcycle accident anywhere in Miami-Dade County (including Aventura, Coral Gables, Cutler Bay, Doral, Florida City, Hialeah, Hialeah Gardens, Homestead, Key Biscayne, Miami Beach, Miami Gardens, Miami Lakes, North Miami, North Miami Beach, Opa-Locka, Palmetto Bay, Pinecrest, South Miami, and Sunny Isles Beach). Mr. Quackenbush will talk to you about your case for free.